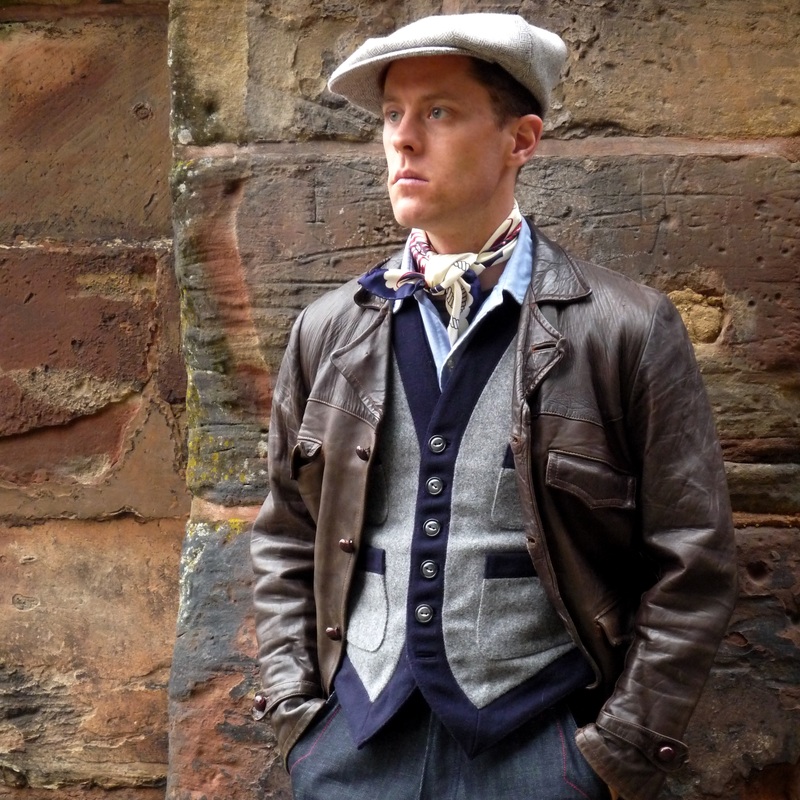 24oz melton waistcoats are live! 1. Bottle Green and Dark Brown. Excellent work, Simon. Shop presentation looks just fine. These are little stunners! Great photos, Nik. How long will they be available to order? The aubergine and brown keeps looking at me, teasing me with her big melton eyes. Nik, the photos are stellar...as are the leather jackets! I'll have a hard time deciding which one to take. I love four out of the six. The grey and the aubergine have six buttons, the others have five. Is this due to different stages when the samples were made (meaning all final waistcoats have either six or five buttons)? 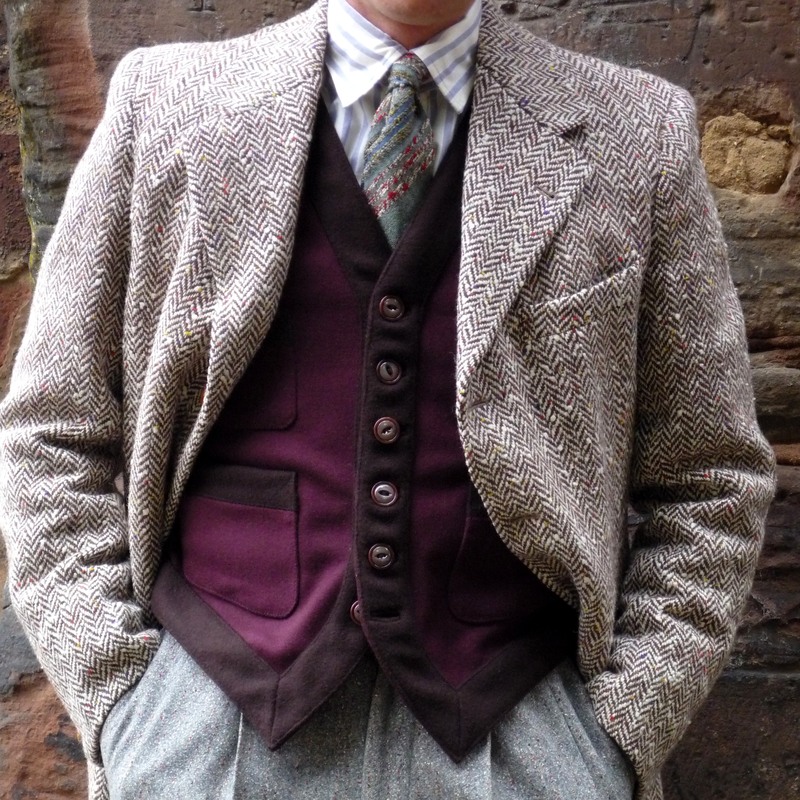 To me the waistcoat looks more balanced with six buttons. (11-01-2016, 11:58 PM)Rudie Wrote: The grey and the aubergine have six buttons, the others have five. Is this due to different stages when the samples were made (meaning all final waistcoats have either six or five buttons)? Yes. The second iteration has 5 buttons, the first has 6 buttons. Should be clarified in the shop presentation. The final version will, I think, be a 5-button. Really? I would seriously consider this and either make them with six buttons or space the five buttons further apart. I do find it problematic, though, to go live and then keep on making design changes. This should really be avoided for future drops. You never know. Somebody might order and then not like what they get because of the changes. This sounds like begging for returns to me. You are right Rudie, I'll make it six. And please make it clear on the sales page. 6 buttons on sales page, clear. You might mention that the garment was sampled in two versions and that you chose the 6-button. Otherwise poeple won't get the discrepancy between the text and the photos. And I still can't make my mind up!